Thanks for printing! 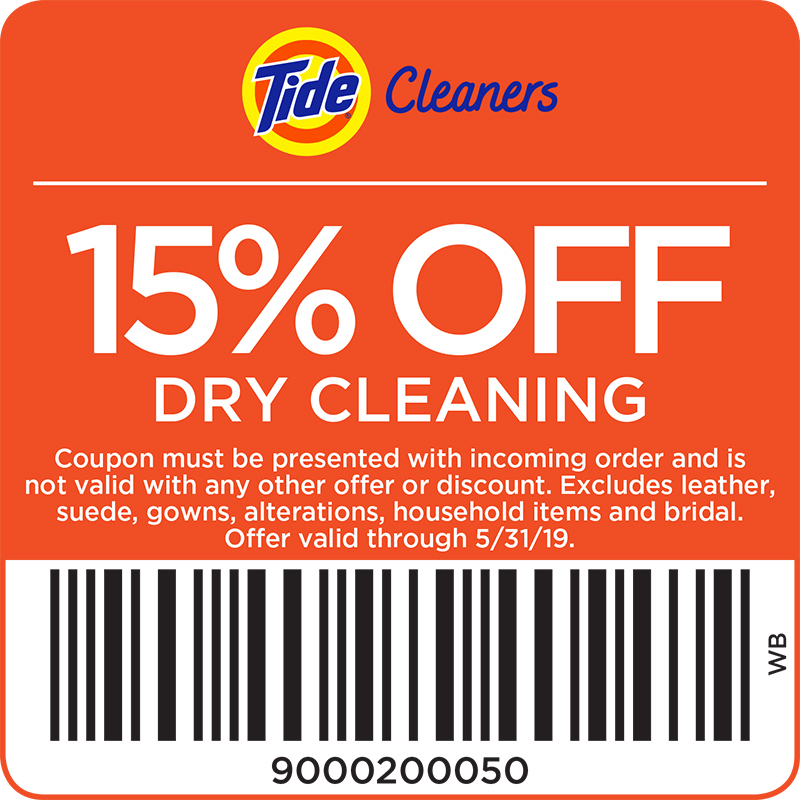 Don't forget to come back to Tide Dry Cleaners Phoenix for fresh articles! 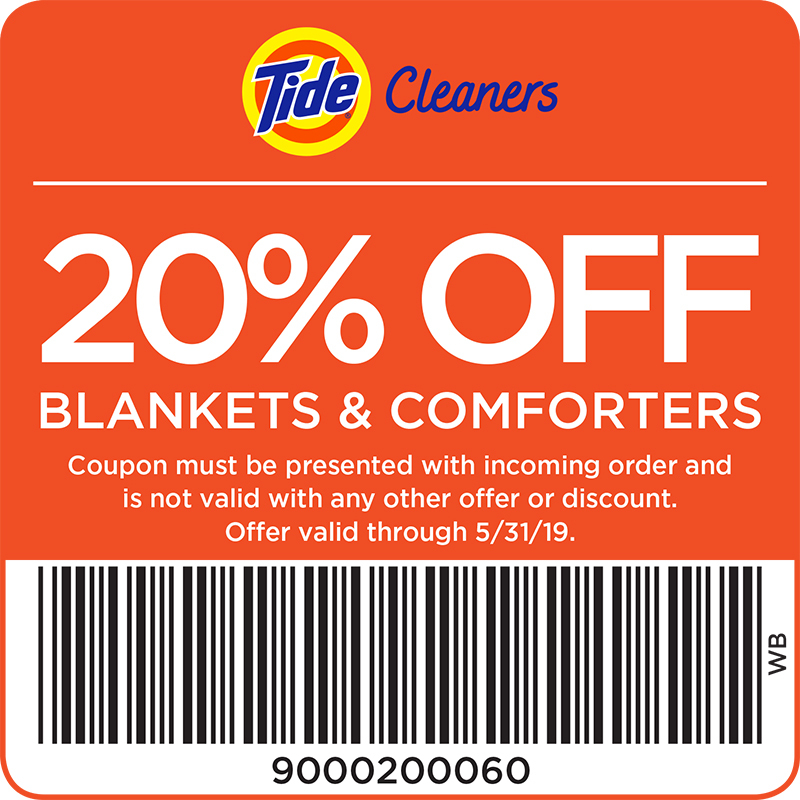 From exclusive email promotions to hassle-free point tracking, you’ll be the first to know what’s new at Tide Dry Cleaners. Plus you'll get other perks, like a personalized garment bag. We have locations throughout the greater Phoenix area. Find the one nearest you. Fabric Care The dry cleaning process is just exactly that – garment cleaning minus water saturation. The dry cleaning process is just exactly that – garment cleaning minus water saturation. Clothes are immersed in a silicone solvent known as GreenEarth that does not penetrate the fibers of the fabric, thereby avoiding the possible swelling and shrinking that can occur with water saturation. Garments are inspected and pre-treated for stains and heavy soiling by a trained “spotter”. After this, they are sorted by types of fabric, color and weight. They are then machine-cleaned in a solvent containing detergent. The solvent is removed from the garments by draining, spinning and tumble drying with hot air and is then filtered, purified and distilled for reuse. A typical wet-cleaning cycle consists of one or more rotations through detergents, soaps and bleaches, followed by a thorough rinse. As in the dry-cleaning process, the garments are inspected and, if necessary, pre-treated for stains. Garments made of delicate fabrics are immersed in water containing detergent and gently hand washed, while heavier fabrics may be scrubbed. Once the garments are rinsed, they are either dried in a machine or hung out to dry and then finished. Which cleaning process to use? The types of soil present. The fiber composition and garment construction. The dye present in the fabric and the nature of the various trims, linings, or other findings that may be used in the garment. WATER-SOLUBLE SOILS often consist of body fluids, salts, or sugars and are best removed by water. SOLVENT-SOLUBLE SOILS are oils and greases, including natural oils secreted by the body, that dissolve readily in solvents and are best removed by dry-cleaning. INSOLUBLE SOILS do not readily dissolve in either water or solvent and are normally removed by mechanical action and flushed away from the fabric. Laundering and wet cleaning processes can be modified to remove some solvent-soluble soils with the addition of detergents or soaps. Detergents used for laundering are normally formulated with mild caustic materials. Because only milder detergents can be used in wet-cleaning, the process is somewhat limited in its ability to remove oils. Similarly, dry-cleaning solvents can be enhanced with the addition of detergents to remove water-soluble soils. The degree of removal is dependent on the detergent used and the careful control of moisture during the cleaning process. Of course, prior to cleaning, careful attention must be paid to the fiber composition and construction of your garment. Many fibers respond well to both wet-cleaning and dry-cleaning. However, fibers such as wool, linen, silk and rayon are subject to damage when in contact with water. Wool and silk, both protein fibers, tend to degrade after contact with even the mildest alkalis found in the wet-cleaning process. Wools also do not respond well to excessive heat typically used in the laundering process. This problem is enhanced in garments with a loose fabric construction, which tend to relax if the article is washed and shrinkage results. Most fiber types are compatible with the dry-cleaning process because dry-cleaning solvents do not swell fibers and the clothes are cleaned at room temperature. But it is always a good idea to check your garment’s label prior to taking them to a cleaner. The various dyes used to color fibers and fabrics can often determine whether or not an article is washed or dry-cleaned. In general, man-made fibers are solution-dyed and respond equally well to either cleaning process. Other types of dyes may respond well to water, but not so well in dry-cleaning solvent. Dyes used for rayon, silk and wool, however, often respond poorly to water. For this reason, most garments of this type are normally dry-cleaned rather than laundered or wet-cleaned. Many garments have trims (e.g., buttons), various linings and other findings (e.g., felts, interfacing, pads) of some sort that will determine how it will be cleaned. For example, differential shrinkage, undesirable distortion and/or puckering of tailored articles (e.g., men’s suits) can occur during processing if the felts or linings used in the construction respond differently than the shell fabric. In cases like this, there is generally less chance of damage when using the dry-cleaning process in place of wet-cleaning. Finishing processes used after wet and dry-cleaning vary, but generally involve steaming and pressing. Steam is used to relax wrinkled fibers and pressing is used to keep them in place. Pressing is the most important step, requiring considerable skill and training. As a general rule, finishing after wet-cleaning is more labor intensive than that of dry-cleaned items. Many factors determine whether a dry-cleaning or a wet-cleaning process is compatible with a particular garment or textile article. Your cleaner must use his or her professional judgment to determine which process will restore the garment to a condition that is as close as possible to its “as new” state.